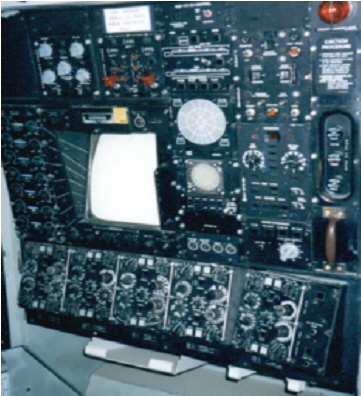 This is the Electronic Warfare Officer's cockpit. Thankfully this picture is an unclassified T-4 simulator at the March AFB Museum in Riverside California. After many years in the Air Force I was only able to show outline drawings of the cockpit to my family, seeing the T-4 in its full colors was quite a joy. 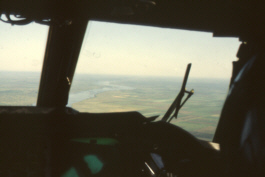 In the aircraft, this cockpit is located about 12 feet aft of the co-pilot's seat, facing towards the tail. To this day I never feel right when I fly, I should be sitting backwards! 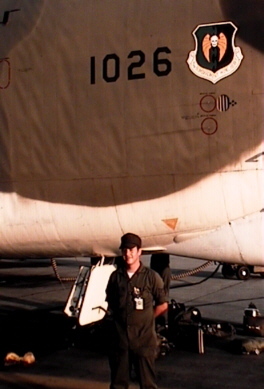 I accumulated over 1000 flight hours in B-52G and H as a Electronic Warfare Officer, Electronic Warfare Instructor and Staff Officer. The Electronic Warfare Officer's job is to keep the bad guys from shooting at you through the proper application radar jammers, chaff, flares, and defensive maneuvers. The B-52 is not a stealthy aircraft and for what it lacks in stealth it makes up for in raw power and capability. 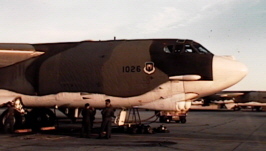 B-52H 1026 gets preped for a day mission to the Utah Test and Training Range (UTTR). 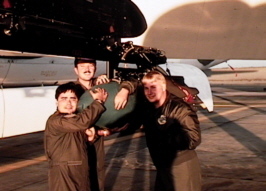 5th Bomb Wing gunners give the 750lb bomb a hug for good luck. The crew chief says 1026 is ready to go. 200,000 pounds of fuel and one bomb. 1026 Postscript: 1026 crashed in 1994. The crash occured at Fairchild AFB during an airshow as the aircraft made 90 degree bank at low altitude. The senseless pilot error resulted in the loss of this fine machine. 1026 lined up ready for take off. 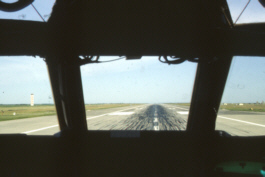 Thrust gate set, brake release, coming up on 70kts, ready, ready, now timing... We are a goer. 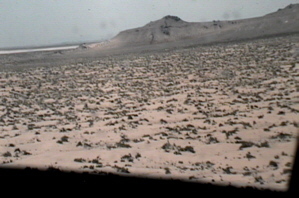 Lake Darling National Wildlife Refuge out the window. No chance of a bird strike here? Down and dirty low level at the UTTR. The radar altimeter reads less than 50 feet. That is sage brush out the window. Looks like you could reach out touch the ground. After bombing the UTTR we're comin' home to momma. 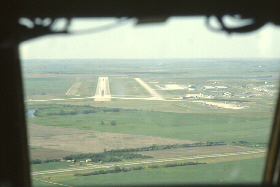 That is runway 29 ahead. I didn't get to see this sight very often since the EW's seat has no windows. This picture is from 1972 when I was a cadet in the Civil Air Patrol. We're on a visit to Wurtsmith AFB in Michigan. 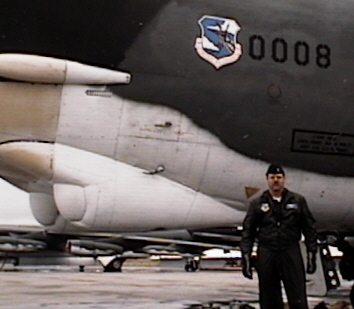 That is B-52H 1019 in the background. To this day, I remember siting in the EW's seat and seeing lotsa knobs and buttons. I even remember the ALT-6Bs...It was my destiny. Eleven years later 1019 is "my bird" for Bomb Comp 83. This is an unbelievable coincidence.